Rahr Corp. — malt of reputation since 1847 — might be the classiest tagline in beer. 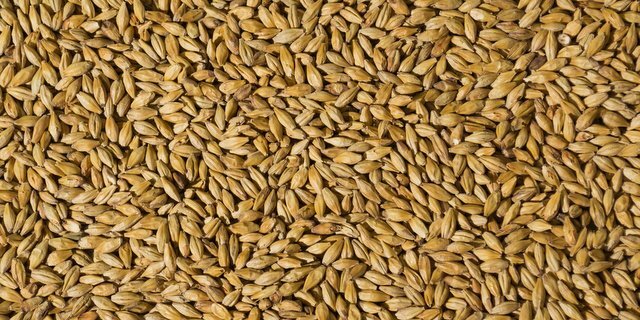 For more than 160 years, Rahr Corp. has been perfecting the business of barley and malt (they also own ultimate craft supplier BSG), which always makes the family-focused malt vision of the Rahr family of huge interest. Recently that vision became a little clearer, starting with the announcement of four new facilities in Shakopee, Minn. What’s even cooler? The great State of Minnesota is doing its part to ensure Rahr succeeds. The Minnesota Department of Employment and Economic Development awarded $610,000 in Job Creation Fund resources to Rahr Malting Corp. a few weeks ago, helping position the Shakopee-based company to begin its $68 million expansion and addition of 28 full-time employees. One of Minnesota’s longest-standing family businesses, Rahr manufactures malt and distributes ingredients for the brewing and beverage industry worldwide. Rahr Corp.’s expansion plans include the construction of four new facilities: a malt house, pilot brewery and technical center, maintenance warehouse, and distribution center. New parking, green space, ponding and other site improvements are also part of the plan. The Job Creation Fund monies will go directly toward the cost of the pilot brewery and technical center, maintenance warehouse and distribution center. This funding is contingent on Rahr meeting its hiring and investment goals. The addition of a new 115,000-square-foot malt house will add 70,000 metric tons of annual malting capacity, for a total of 460,000 metric tons. This amount is enough to brew 6 billion bottles of the average craft beer or 12 billion 12-ounce cans of the average light beer. Upon project completion, the headquarters in Shakopee will be the largest single-site malting facility in the world. The 20,000-square-foot pilot brewery and technical center will further Rahr’s position as an industry leader in brewing ingredients and improve the company’s understanding of how its products perform in a realistic brewery environment. The first floor will house a pilot brewing and micro-malting center, and the second floor will house an expanded malt quality control lab. The 15,000-square-foot maintenance warehouse will allow for storage of the parts and equipment needed to maintain the malting facility. The 80,000-square-foot warehouse and distribution facility for BSG will primarily be used for warehousing and order fulfillment. About 6,000 square feet will be used for the bagging of malt, ranging from bulk loads down to smaller sizes for craft brewers. The facility will serve Rahr’s brewery customers across the United States, including many of Minnesota’s new craft brewers. DEED’s funding approval comes after the Shakopee City Council’s unanimous vote on March 31 to approve Rahr Corporations’ tax increment financing request. Combined, the state and city approvals pave the way for all four components of the expansion in Shakopee, located in the southwest Twin Cities. Rahr’s new facilities are scheduled to be fully operational by spring 2017 and will result in the addition of 28 new full-time employees at an average wage of $20 per hour.